Welcome to Solid Health Insurance Services! At Solid Health Insurance Services, we believe that the most important thing for you, and those you care about, your family and your employees, is to have affordable health insurance in California. 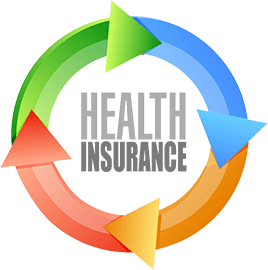 Our mission is to find you affordable health insurance by comparing the rates from carriers such as Anthem, Blue Shield, Kaiser Permanente, Cigna, Health Net inside and outside the California State Health Insurance Exchange, Covered California. We believe that affordable life insurance and long term care insurance will protect your family from unexpected life events. We provide you with affordable life and long term care insurance comparison quotes with carriers such as Transamerica, Allianz, Genworth, ING and other carriers. What does solid mean? It means that your health, life, home and business are adequately insured. We want to make sure that your hard-earned assets are protected, so that you can concentrate on achieving your family dreams and financial and business goals. Our mission is to find affordable health insurance, life insurance and long term care insurance, which best fits your individual, family and small business needs! At Solid Health Insurance Services, we believe that a quick meeting with us in person or over the phone will help you to establish your individual, family and business needs. Completing an insurance form without the advice of an agent can be difficult or even lead to problems with insurability. Especially now with the introduction of the California State Health Insurance Exchange, Covered California, there are many new aspects, such as possibly receiving financial subsidies and navigating through smaller health networks, to consider. Our mission is to find you affordable health, life, and long term care insurance which best fits your individual, family and small business needs! For personalized Medicare consultation and benefit overview, call or email Barbara at 310-909-6135. Get cash to help pay for injury due to accidents. 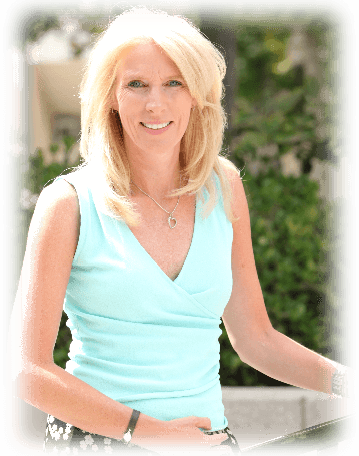 Barbara’s strong sense of organization and hard work has allowed her to be a successful business expert in Los Angeles for 25 years. 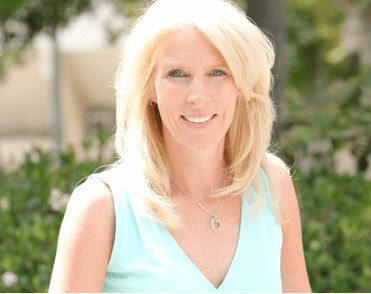 After handling the insurance matters for a manufacturing company for 5 years, Barbara founded Solid Health Insurance Agency in 2008 and enjoys serving her community ever since. With the introduction of the California State Health Insurance Exchange, Covered California, every policyholder in California should compare their current health insurance plan with the new qualified health plans. These health plans are guaranteed to provide essential levels of coverage and comply with consumer protections set forth in the Affordable Care Act (ACA). The health plans are based on the metal rating inside and outside the exchange. The health insurance plans have a metal rating – Platinum, Gold, Silver or Bronze – based on actuarial value calculations. For example, Platinum plans will provide for 90 percent of costs while policyholders pay 10 percent of medical cost; Silver plans will offer 70 percent coverage while policyholders will pay 30 percent of medical cost. Tip #2 - Will I qualify for a financial subsidy? Since 2014, cost-sharing subsidies and tax credits will lower the cost of health insurance premiums and out-of-pockets expenses for health coverage. Many Americans will qualify for a federal subsidy to pay for their health insurance premium, which depends on their modified adjusted gross income (MAGI). Individuals and families earning up to 400% of the Federal Poverty Level will be eligible to qualify for a federal subsidy. The Federal Subsidy depends on your family size and modified adjusted gross income, to calculate please use the federal subsidy calculator. If your modified annual gross income (MAGI) is in between 139% and 250% of the Federal Poverty Level (FPL) the Silver Plans are offering next to the subsidy also a cost share reductions towards co-payments, co-insurance and out-of pocket maximum. Tip #3 - Will my doctor and hospital be in the network? In 2018, there are some major changes to the insurance carriers. Anthem is leaving the Southern California region and is only participating in 3 out of the 19 price regions across the state. It is critical to research your insurer and see if your preferred doctor and hospital are in the network on the exchange health plans. For example, in 2018, for Los Angeles, only Blue Shield offers a true PPO (Preferred Provider Organization) across all regions in California. Health Net offers PPO plans across Los Angeles, Orange County, and San Diego at a competitive price. If you have PPO plan, you can choose doctors outside the network, but the cost will be higher than inside the network. Oscar is operating as an EPO (Exclusive Provider Organization) and not as a PPO plan ( Preferred Provider Organization). An EPO will not cover any service rendered by a provider who is not part of the provider networks except in the case of emergency care. Kaiser’s HMO network is a Health Maintenance Organization and has a managed care approach to your healthcare. If you want to see a specialist under an HMO plan, you must first get approval from your designated primary care physician. With more managed care under HMO networks, insurers like Kaiser, LA Care, and Molina Healthcare can offer competitively priced plans yet under generally smaller provider networks. Much like an EPO, HMO plans do not cover out-of-network services unless it is a medical emergency. Tip #4 - How will the insurance premium vary in California? In California the only rating factors for premiums are based on geography, age and family size. a) Geography : There are 19 regions in California, each rating area will have their own cost of care applied b) Age: Rates based on age will differ by no more than a 3:1 ratio. In the past this ration was 5:1 or higher. The 3:1 ratio says that the cost of the highest age may be no more than three times the cost of a young adult. We expect that the rates for young adults will increase. c) Family Size In determining a family’s total cost, all adults (subscriber, spouse, adult children) age 21 and above are rated separately under family coverage, and only the three oldest children who are under age 21 will be rated in the total family premium. d) Rate guarantee: Rates for health plans are guaranteed for a full calendar year, or the duration of the calendar year for special enrollment. Rate adjustments due to age changes can only occur during open enrollment or special enrollment periods. Double check with your insurance if your doctor is an In-Network Provider. Using Out-of-Network doctors can be very costly, as the insurance companies with a PPO plan are only paying their standard rate and you are responsible to pay the doctor the remainder. With the introductions of EPO’s ( Exclusive Provider Organization) covered benefits are not paid for services rendered by a provider who is not part of the provider network except in emergency or plan-approved care outside the provider network. Bronze Plans are less costly than the other metal plan of the ACA plans. If you have a Bronze plan you need to meet the annual medical deductible of $6300 before Emergency Visits, Xray, Diagnostics, Hospital and OutPatient Medical Treatment will be covered. The drug deductible will be $500 for an individual or $1,000 for a family (per prescription drug per month). After the drug deductible is reached for each drug per month, the insurer will cover the rest of your drug costs for that month. On the Silver Plans, the drug deductible is $250 for brand prescriptions. The Silver and Bronze metal plans have an out-of-pocket maximum of $7,000 for an individual or $14,000 for a family. Once your out-of-pocket maximum is reached, the insurer will cover all of your medical expenses in-network through the calendar year. 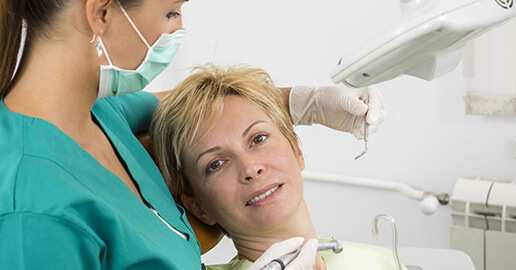 Gold and Platinum plans will not have a drug or medical deductible which helps minimize costs outside of your premium. To be prepared for the unexpected add a supplemental insurance. Add a critical illness insurance, which will pay you a lump sum if you have a critical illness. 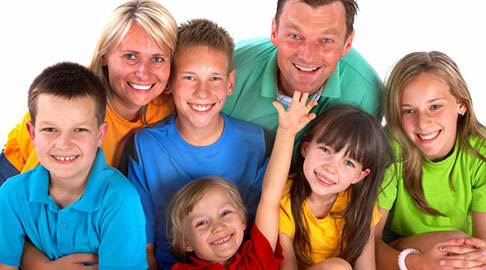 Young families can add an accident insurance, for as little as $ 40 per month, or singles for $ 20 a month. After the deductible is reached, you have to pay a coinsurance, which can be as little as 10% for Platinum Plans or as high as 40% for Bronze Plans until you reach the Out-Of-Pocket Maximum. Inside the Networks of an Insurance Carrier’s Health Plan, Platinum Plans have a maximum out-of-pocket limit for an individual of $3,350, for a family of $6,700. Gold plans have an out-of-pocket maximum of $6,000 for an individual, $12,000 for a family while the Silver and Bronze Plans have an out-of-pocket maximum of $7,000 for an individual, $14,000 for a family. Outside the Networks of an Insurance Carrier’s Health Plan, the out-of pocket maximum can be considerably higher. In order to do our job properly we keep up to date with the newest insurance plans and newest health care reform changes. We know which plans have loopholes and research the networks of each health plan. We will determine if you qualify for subsidies. We will guide you through the application process. Filling out an insurance application can be very difficult. A meeting or telephone conversation with us will help guide you successfully through the application process. With Barb’s help, I now have great insurance that I can afford. Thanks Barb! Sarah T.
I have found Barbara Kempen of Solid Health Insurance Services to be very proactive in representing my interests in getting the best insurance coverage at the best rates. I appreciate how much time she puts into serving my individual interests. Barbara T.
Barbara helped me find excellent insurance after I began working from home. She was a big help and always available for questions/concerns. Thanks! Matt B.
Barbara has handled the insurance issues for my companies for 6 years. She is highly knowledgable and finds the most affordable plans. in the waste amount of plans, she finds the plan which fits the best for my company. West LA Real Estate Group, Inc.
Barbara has been a tremendous help for me over the past two years. She is consistently available and eager to help with any of my insurance needs. She is always patient and helpful. She represents me as a client with full commitment and integrity. Juliet M.
We look forward to building a solid relationship with you.